Sprinkle with powder sugar if you like! Sprinkle with cinnamon and dot with butter! Tear Publix Breakfast Bread in small pieces and place in large mixing bowl. In a separate bowl, mix sweetened condense milk, milk, eggs, vanilla, and cinnamon (blend with whisk or fork). Add liquid to bread and mix well by hand, making sure bread is in small pieces. Add diced mango and fruit cocktail or pears and mix again. Let stand for 5-10 minutes to absorb. Place mixture in an 8 by 8 square baking pan which has been rubbed with a pat of butter. Place in pre-heated oven for 1 hour. Remove from oven, sprinkle with cinnamon and dot with a little butter and let cool to firm up. Can serve room temperature or chilled. Refrigerate leftovers. Sprinkle with powder sugar when serving if desired. Great served with Vanilla ice cream! Note: This is a very versatile recipe, you can use raisin bread or other types of bread with fruit. You can also put whatever you might have in the pantry, such as diced peaches, it’s just as good! 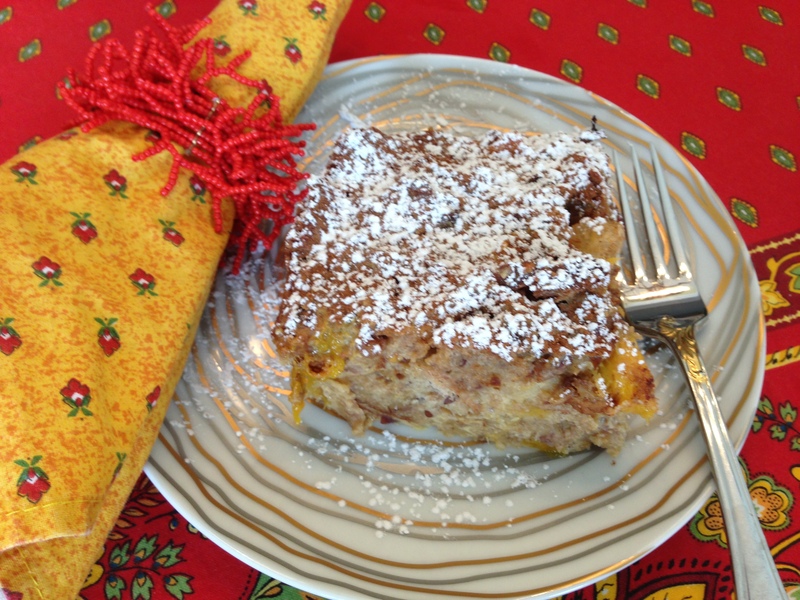 This is made with breakfast bread, but really is for dessert anytime!! Blend all the above ingredients together in a small bowl until well mixed. Refrigerate until ready to use. 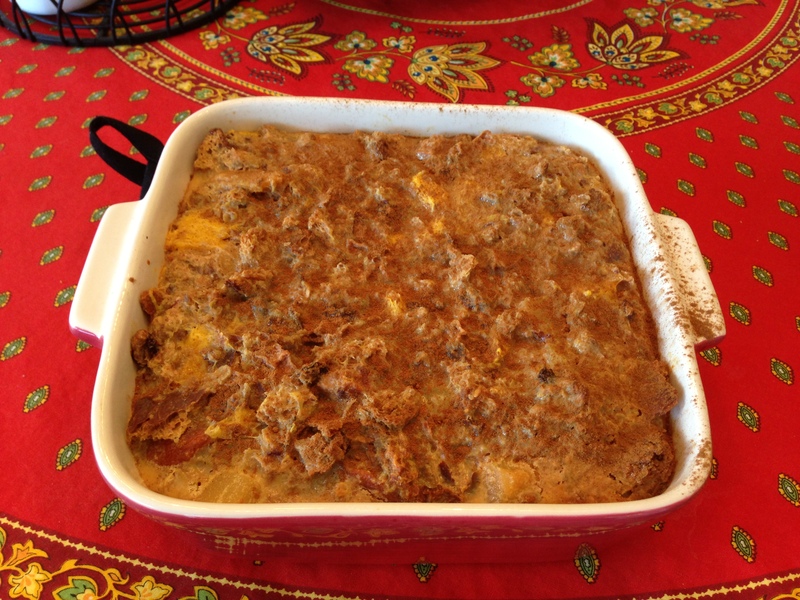 Drizzle on top of bread pudding before serving. Note: you can substitute Amaretto or other liqueur. 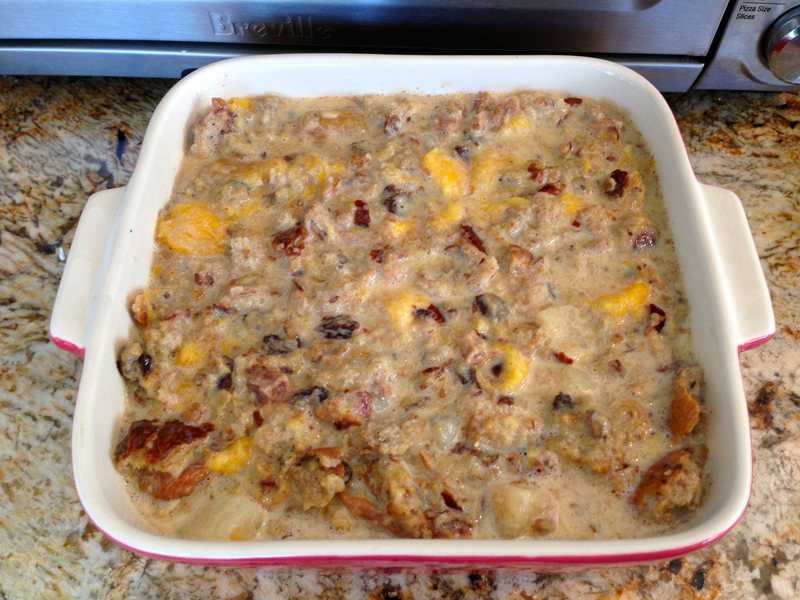 This entry was posted in Desserts and tagged bread pudding, breakfast bread, condense milk bread pudding, dessert, easy bread pudding, MANGO, mango desserts. Bookmark the permalink. Looks like another winner! Impressive for company from up north! Thanks Mercy! I always appreciate your kind comments! !